South Dakota’s strong dairy production and processing industries add $2.4 billion to South Dakota’s economy. Business taxes paid by the dairy industry equal more than $23 million per year. In fact, each dairy cow in South Dakota generates $26,294 in economic impact. Twenty or 30 years ago, the state had as many as 250,000 dairy cows. Today, the number of dairy cows in South Dakota has dropped to approximately 118,000. The last few years have seen a resurgence of dairy activity in the state. Experts believe the state can support a return to the numbers from 20 to 30 years ago. They reason that if we could supply enough feed and handle the waste from 250,000 cows back then, we can certainly do it today. 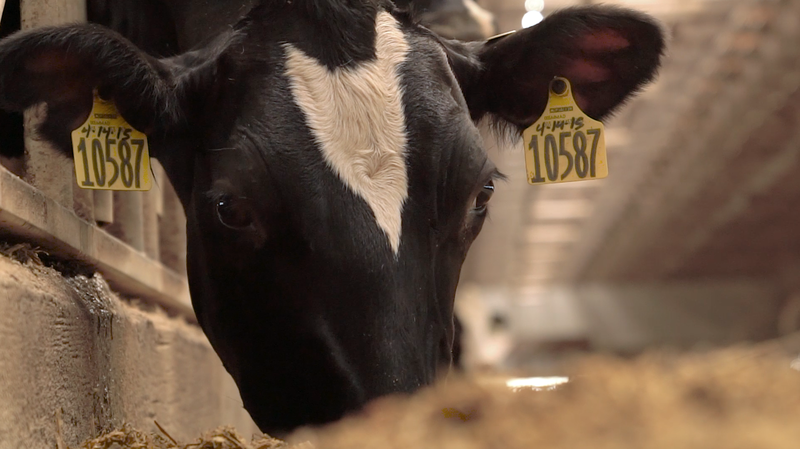 South Dakota’s dairy industry creates 6,230 jobs. However, in a ripple effect, the dairy industry lifts up other farm businesses, due to the need for corn, hay, dried distillers grains and other feedstuffs; a wide variety of equipment; veterinary care; construction; transportation and much more. In addition, South Dakota State University (SDSU) has become a national leader in dairy science, with a state-of-the-art production facility, rising program enrollment, 100 percent job placement and the only dairy manufacturing major in the country. With a concentration of expertise and availability of infrastructure, South Dakota can offer the dairy industry continuing growth for the benefit of all in the state.